Obsessed with cash generation and a detailed understanding of business models, this Australian equities fund's management team explains what it loves and hates about these blue chip companies. 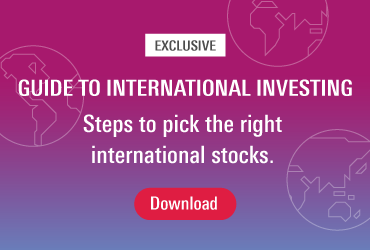 Airlie Funds Management was acquired by renowned international equities manager Magellan in November last year, and has since pared back its institutional mandate to also launch a targeted retail portfolio of about 25 stocks. "We think we're good at picking stocks, so we've honed our process down to a concentrated, active 'best ideas' approach," says portfolio manager, Matt Williams. A diverse list of value stocks – Reece, Qantas (ASX: QAN), Suncorp Group (ASX: SUN), James Hardie (ASX: JHX) and Link Holdings – are its top five holdings. Speaking at a recent industry event, co-portfolio manager Emma Goodsell explained the vital role company balance sheet, management and overall business quality have on its investment portfolios. "It's usually a bad balance sheet, bad management or deteriorating business quality that trip you up. "The question that we ask ourselves is: 'what is the right financial structure for the business model?'" she says. In terms of the financial strength and downside protection, she believes that company "blow-ups" are usually a result of carrying too much debt in a business model. "We think that the market isn't very good at putting a value on the optionality that a strong balance sheet gives you … we're always very attracted to these cash-generative, asset-rich businesses." Department store retailer Myer (ASX: MYR) is one well-known company that currently fails Airlie's balance sheet test. This is largely because of its significant off-balance sheet liabilities in the form of leases. "Even if no customers went into the store that day, they'd still have to pay the rent and keep the lights turned on. "On the flipside of that is that we've had a very good experience investing in Metcash, where they own the property themselves," Goodsell says. Assessing business quality accounts for the majority of the time Goodsell and fellow portfolio manager, Matt Williams, spend analysing companies. Qantas is also highlighted as a company that has been successful for Airlie. "The important thing to note is that we didn't participate in the early share price gains coming out of the early capacity war [between Qantas and Virgin], but two years ago, it did pass our filter and we invested," Goodsell says. The business quality it identified at the time was the duopoly industry structure, which she describes as "a very favourable environment for Qantas … with 65 per cent market share but 90 per cent of the domestic profit book". As a comparison exercise, they also looked overseas, where international airlines trade on higher multiples, but found it was more competitive. Still, there are companies that tick some boxes but not others, and so are excluded from its portfolio. Harvey Norman (ASX: HVN) is one. "They own the property and have a good balance sheet, but with its corporate governance concerns, you can probably use that as example of a precautionary tale of being a minority shareholder," she says. 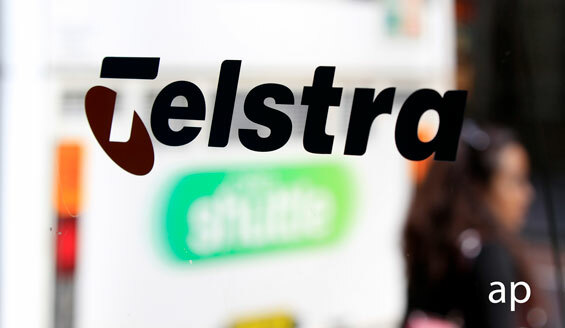 Among Australian large-caps, companies don't come much higher profile for investors than Telstra (ASX: TLS). Yet Airlie has so far shied away from it. It sees financial strength as a key problem, in that "they spend more than they earn". "If they've made $100 out of the business, they've been sticking $68 back into it … that's an unsustainable situation," Goodsell says. She describes a "capital intensity pact" Telstra has, whereby customers have traditionally been willing to accept paying higher prices for the service because they get the best coverage network. "This creates a high capital intensity for management because they can't risk losing that perceived network advantage. "The implication for us is that when we roll forward not only this capital intensity, but the coming pressure that we see in mobile and the National Broadband Network, that's a balance sheet that increasingly lacks optionality." Goodsell concedes that Telstra's share price appears cheap when weighed against international competitors, while it looks more fairly valued in terms of its sustainable earnings. "So, we're fairly mixed on how it looks … none of this really screams 'value' to us. We keep a watching brief, but for now, it's not really screening particularly positively thorough our process," Goodsell says. Wesfarmers (ASX: WES) and specialist healthcare business CSL (ASX: CSL) are companies Airlie likes. When assessing CSL, they identified five companies globally with higher return profiles, and all trading at substantially higher multiples. "But to us, CSL's price makes sense given the quality of the business. "Where CSL had a quarter of the market a few years ago, they'll have a third in a few years' time," Goodsell says. The fund has held Wesfarmers for two years, over which time "it hasn't really done much" except pay a dividend, until recent outperformance. Bunnings and Kmart are two of its businesses Airlie highlights as star performers. Airlie has called on Wesfarmers' management to separate from the conglomerate structure. "We got our next best wish with the spinoff of Coles," says Goodsell. "We attribute the recent outperformance to the fact that our thesis is playing out."